Bluetooth speaker did work at one time but now it pairs or says your device is connected but there s no sound volume is cranked up. Have tried resetting CB and software update of which there was none, I may have to call Acer tech support if we cannot resolve the issue.Thanking you in advance for any input provided. i have a rca tablet with android os . i have been tranfering data from my lg phone to the tablet with no issue till this week. i can get it to pair up but they wont share data. i rebooted both devices no help.. what else can i do ? I have a rca Viking pro tablet and an omoton Bluetooth keyboard that I can’t get to connect!, any help? Go to your settings page and in the search bar type in “reset network settings” worked for me. I recently purchased a Telefunken 10.1” tablet, which came with a bluetooth keyboard. I decided to purchase a bluetooth mouse and it connected fine. However,my wifi then disconnected and wouldn’t connect. Any suggestions to allow all 3 to connect? Hi.. Please do needful my syaka lb300 Bluetooth headset works only while charging. It doesn’t starts while we plugout the charging. XBR-55X700D and on the back of the wireless speaker it shows MID#2711114. how can I get them to work? So much better to take initiative and fix it myself instead of waiting for my husband to sort it out. I read this article, really helpful for Bluetooth users. My case - my new RED MI 4 phone is paired with my car stereo Ford Figo inbuilt stereo, but it disconnects frequently and I can’t take calls now. If I clear Bluetooth cache, then it works for a couple of hours, again same issue. Have you tried wiping the cache partition? To do that, simultaneously press the power and volume up key until you see the logo come up, then let go. Use the volume keys to navigate to Wipe & Reset (use the power button to select), then select Wipe cache. Once the cache is wiped, you can choose to restart your phone. For some reason I am unable to connect my Garmin Sports watches with the Honor 8 Pro. The BT pairing code keeps refreshing every second and hence I am unable to key it in before it refreshes again. Finally I get the Connection Timed Out Error. This happens only with the 8 Pro. All other phones I have tried have no issues at all. Am really frustrated now! Any help in resolving this is highly appreciated. I am facing exactly the same issue. I have tried increasing visibility on the phone but nothing helped. That is the only thing that seems to work for me. But, it’s early to tell if my issue is totally fixed. Now that every portable consumable comes bluetooth enabled or compulsory; after this holiday season I expect every human on the planet to take a set against this badly conceived poorly implemented tech. The only question is will it go the same way as 3d screen and where VR is inevitably headed, or will it because it is inexpensive to implement, merely be relegated to the small print on the tin? 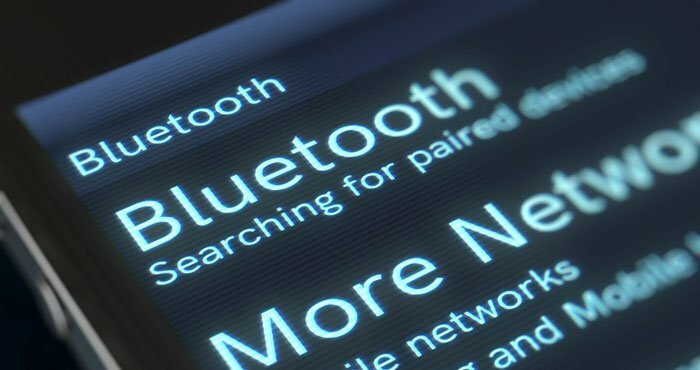 Obviously as anyone who has spent too much time trying to pair two bluetooth devices when neither have the benefit of a gui but each has an accursed ‘multi-function button’ instead, bluetooth has shifted from being a must have selling point to a tech to be avoided. Under normal circs product engineers would toss bluetooth on the scrapheap where it belongs but it is cheaper and easier to package than 3.5mm cables and the like - & enables at least $50 to be chucked on to recommended retail because device is ‘wireless’ but like most I have found the recharging demands of any bluetooth device to be far from wireless. A big thankyou also needs be given to those drongos who design their equipment to switch off during recharging (hiya Sennheiser)so that a user has to tolerate considerable downtime with their device. 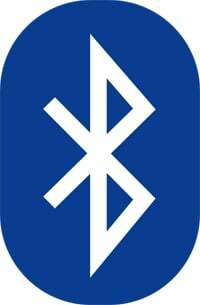 Bluetooth - whose silly idea was that again? I have successfully paired my Samsung 6 with the Uniden home phone system. But every time I leave range of the home phone and then return to the house with my mobile phone, it asks me to reset the pin. Every few seconds until I pair up again by physically asking the Uniden phone to find my mobile phone at the same time as entering the pin. Driving me mad. I’ve unpaired both but and then re-paired but makes no difference. When I first set up the phone a month ago it worked well. No more…Ideas? You can try clearing the Bluetooth cache. To do that, go to Settings > Application Manager and then select Bluetooth. Select Clear cache and then Clear data. Restart your phone when the operation is complete. Hope this helps. Thanks for your tip. My phone does not seem to allow me to clear cache in the apps manager. Any other suggestions? The earbuds arn’t even showing up on my phone as an option to connect through bluetooth. This is strange for 2 reasons. One being that it has connected fluently to my phone several times without any problems. And the other reason is that I am able to connect to my PC with windows 10 on it (but not my phone). I just got these this Christmas. the slightest help is much appreciated. İten 8 solvedd myy bluetooth issue. Tanks a lott. i got my vivitar headphones 2 weeks ago and they were working fine untill they stopped pairing to my chrome book. Help! Bluetooth pairs but the mic does not work to receive phone calls or use Google assist. Bluetooth connected but with error "NO PHONE"
Hey! 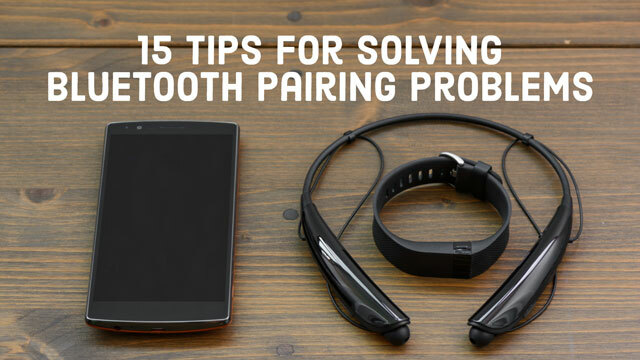 Thanks for the article I was looking for a problem that I faced in Jabra Talk on Lenovo K3 Note. Though the headset was paired and in use, sometimes it get connected with message “NO PHONE” and stops working. i.e. the Phone shows blue tooth headset in connected mode but not able to speak/listen to calls in the headset. The problem got solved by unpairing the headset and restarting the phone and pairing it again. Hope it is helpful to others who face similar problem. Thanks.. Sounds like your Tab A thinks the keyboard is being used by another device. Did you only pair the keyboard with the tablet? And what else is your tablet paired with that would be nearby? The Bluetooth headset is not connected in my mobile. I had trouble connecting my smartphone to my polaroid bluetooth speaker, but after reading your article and applying the methods you explained I was able to connect thank you for this article. Always happy to hear when we’re able to help people out. Thank you for letting us know. BT and windows 10 phones. I read with interest the number of articles about issues with win 10 phones and BT connections failing or not re connecting on subsequent connections with the same device. It can be seen that some smart phones like Samsung S8, S8+ and I phones re connect to the paired devices automatically once in range however with windows this is not the case especially found with win 10 phones and connection via BT and a car, here it is required to always connect the phone with the car to do this on the win 10 phone when in the car open BT settings on the phone and select the paired device needing connection hit connect and away you go it works all the time, just remember always go to BT settings on the win 10 phone and hit connect. Thanks for number 6. I had a phone blocking the connection. If all else fails…ALL ..u have to do is keep trying it in your spare time..it may take a few days ..meaning 1-2 or up to 4 days…just keep trying it..it will eventually connect.. I keep deleting a phone from my car radio. The phone that keeps adding itself is not a phone I own. How is that even possible. All of a sudden the bluetooth audio in my car won’t connect to my phone. They only pair with call audio but will not connect with media audio. Please help? Went through your tips but unsuccessful yet trying to pair my Miniso Minispeaker with my Win10 Lenovo Ideapad 100s. On first attempt, the BT detected the speaker name but failed showing a Try connecting again yellow caption. Tried again million times. Now BT doesn’t even find the device. They’re both charged. Speakers work on every other device I connect them to. I Had a new battery put in my car and it hasn’t worked since. Any suggestions? Did you try deleting your phone from the car? Did you try deleting your phone from the car and re-pairing it? Also, deleting the car from your phone before re-pairing? I have a GS7 and a brand new Plantronics PLT. I have had the earpiece for a couple days and it worked fine. I had to do a hard reset on the phone and now the earpiece won’t pair. I have tried all the normal advice. i.e., wiping the cache, powering off the devices then powering them back on, even another factory reset. Nothing is working. Is there anything else I can do?